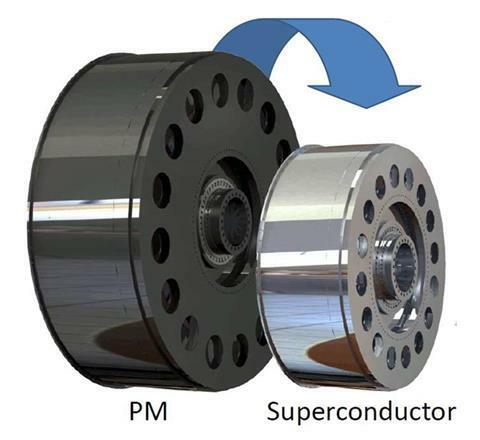 High-Temperature Superconducting Magnet Used for the First Time in Wind Turbine. A permanent magnet is one of the core components of the wind turbine. Permanent magnet needs to use a large number of rare earth metals. Now, Marc Dhalle, a Dutch material scientist, is the first person to try to make permanent magnets from high-temperature superconductors. Wind turbines using superconductors have half the weight and volume of ordinary wind turbines at the same power. The project called EcoSwing is funded by the European Union. 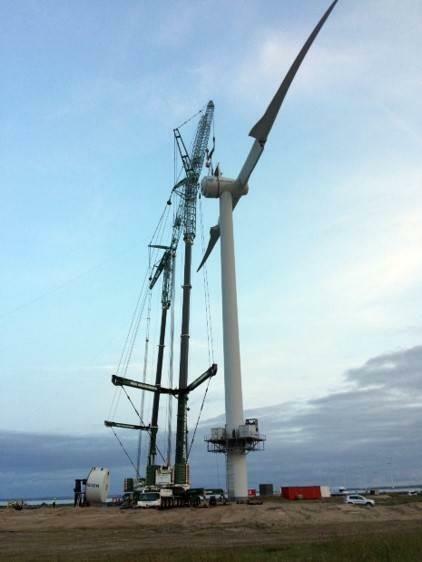 The new wind turbine is four meters in diameter and is installed in a 3.6 MW turbine 88 meters high in Denmark. Its superconducting material is GdBaCuO (gadolinium-barium-copper oxide, gadolinium-barium-copper oxide), of which gadolinium costs $18.70/kg, compared with the price of neodymium trioxide used in conventional turbines of $45.50/kg. Wind turbines are one of the stars of green energy, but in fact, the cost of generating units is still high, not only the cost of keeping wind power is high, but also make it difficult to promote them in large quantities. 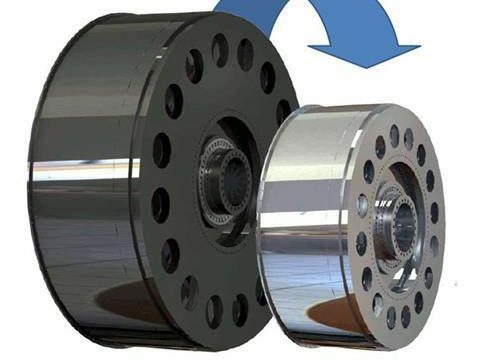 However, EcoSwing, with an EU background, has recently upgraded a Danish wind turbine using a “superconducting band” to replace the use of a large number of rare earth magnets. This “superconducting band” consists mainly of gadolinium-barium-copper oxides, which are coated on long strip steel substrates, and multilayered with magnesium oxide and silver in the middle to prevent the superconductivity of gadolinium-barium-copper oxides from weakening over time. Although this “high-temperature superconductor” still needs to be much colder than normal temperature in order to be effective, it is already relatively simple equipment can be achieved, so we can try industrial production. Compared with the $45.5 per kilogram cost of using neodymium oxide as a permanent magnet for wind turbines, the cost of new materials is about $18.7 per kilogram, and the same magnetic effect can be achieved with a very small amount of neodymium oxide, so that the wind turbines themselves can be reduced and lightweight. It uses a refrigeration machine that cools to – 240 degrees C. Dhalle said the new turbines are conservative and the next version will be a more streamlined prototype. Wind turbines work with very low-density airflow, so wind turbines are all low-speed units. Wind turbines can use direct drive (1:1) and semi-direct drive (1:10). Each pole and phase of wind turbine stator is the fractional slot. The stator and rotor windings are made of second generation high temperature superconducting (HTS) bands. The stator core of hybrid wind turbines is made of permanent magnet. Another alternative is to replace it with the second generation HTS.